I received the map via postal mail from Cindy, Santa’s Helper, at Santa’s Workshop at the North Pole, Colorado. Many thanks, Cindy! 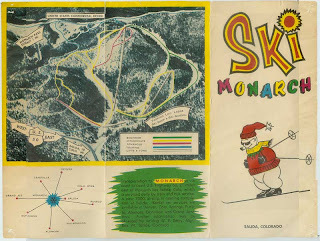 I also uploaded it to Skimap.org which claims to have the largest collection of ski area maps on the Internet. During the process I was told that my upload will have to be reviewed, before being posted. I also notice that they do not have our new 2008-09 version. I’ll have to go back and post it as well. All I’ll have to do is reference the URL to the map on the official Monarch site.